Concord, NC - Carolina Courts (www.carolinacourts.com) became a major player in pickleball in the Charlotte, North Carolina area on November 3rd as almost 20 participants assembled for match play. 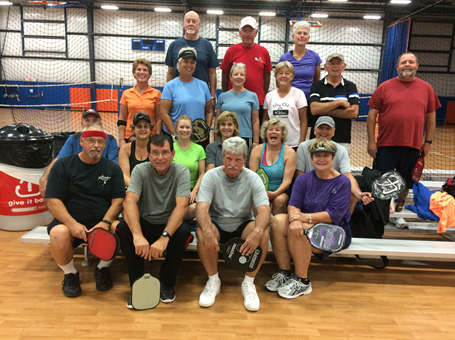 Carolina Courts Manager, Phillip Vaughn, sees continued growth for pickleball at both their Northern and Southern facilities within North Carolina. The North Carolina USAPA Regional Ambassadors are hosting a holiday tourney (HOLIDAY SMASH) at Carolina Courts, which will be the prelude for the USAPA Southeast Sanctioned Regional to be held in March of 2015. Carolina Courts is open 5 days a week for pickleball from 10 AM to 3 PM. For more information on Carolina Courts, please send an email to ncpickleball@aol.com.